Founded in 1788 and occupying an impressive Art Nouveau building in Nybroplan, Stockholm since 1908, the Royal Dramatic Theatre – or Dramaten – is Sweden’s National Theatre. After several years of renting Alcons loudspeakers for events, in 2015 the theatre has installed a permanent system in its main space. 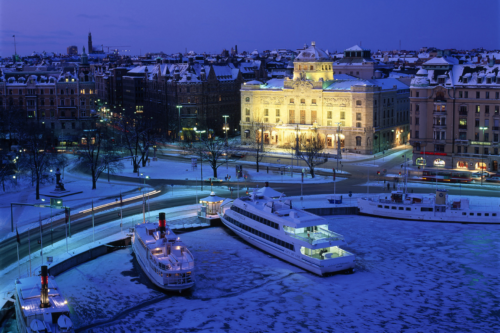 The state-owned venue produces classical theatre, new Swedish and international productions and is also a hub for child and youth theatre. 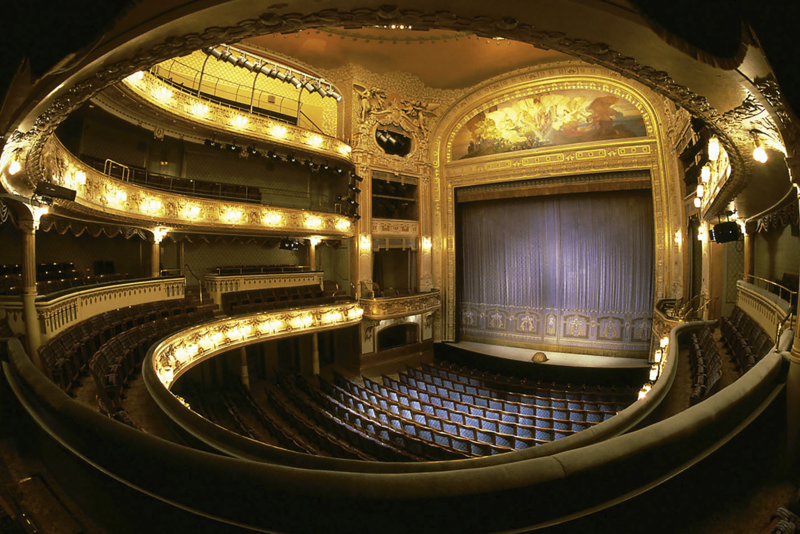 Dramaten has seven stages in three different buildings. Located in the main building, the 770-capacity Main Stage is, in many ways, the heart of the theatre. Its décor is maintained as close as possible to when the building opened, so the new audio system had to be compact yet deliver very high quality sound. “The challenge was to find a physically small PA without compromising in sound. We demand even coverage throughout all four levels of seating and a good stereo image. The available positioning for a PA was very limited because the building is historically protected, as well as considering sight lines,” says Dramaten’s Technical Project Manager Johan Bengtsson. Swedish audio specialist E lectrosound AB is a member of the Alcons global Ribbon Network and had rented a range of systems to Dramaten in the past. 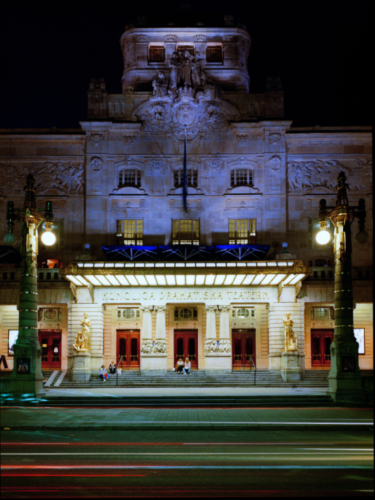 “Through regularly renting Alcons systems, such as VR8, VR12 and LR7 for various events, Dramaten already knew the quality that Alcons delivers. They also installed Alcons SR9 low profile loudspeakers for front fills several years ago,” says Electrosound’s Brollan Söderström. “When it became time to replace the main system in the Main Stage, Dramaten asked me to do a full-scale site demonstration. I chose Alcons LR7 and LR7B as the best solution, because it fulfilled all their needs and delivered the added benefits of better coverage and sound quality. The LR7 is a true line-source system, which can be deployed either in stacked or flown configuration. Loaded with the RBN401 pro-ribbon driver on a ‘morpher’ lens – which produces up to 94% frontal radiation – the system features 120° dispersion with seamless coverage. Its transient response and peak power handling of 800W/200mS produces amazing intelligibility and throw, while offering maximum ‘gain-before-feedback’ from any position up to directly under the array. Precisely mat ching the LR7, the LR7B is a double-tuned bandpass bass unit. Featuring a single 12” long excursion woofer, the LR7B delivers high quality, high output bass response from an ultra-compact, weight-efficient package. The concentric bandpass configuration offers LR7-tuned bass response in full-space (flown) and increased efficiency in half-space (stacked) applications. The extended frequency response enables the LR7B to be used as mid-bass reinforcement, full-range bass extension or subwoofer. The micro-sized design and weight saving all-Neodymium drivers of a combined LR7/LR7B system makes it very easy to handle. In addition, eight Alcons VR12 two way, compact loudspeakers were installed as fills and monitors. The system is powered by five Alcons ALC Sentinel 3 Amplified Loudspeaker Controllers. The Sentinel 3 is a powerful four-channel, DSP-based controller with Class D amplifier stages, designed to get the absolute maximum performance out of Alcons pro-ribbon systems. “We were amazed when we heard the LR7 at the demonstration. The acoustic characteristics of the pro-ribbon drivers are great and really bring our sound designs to life. Finally we can give our audiences the supreme sound quality that they expect at the Royal Dramatic Theatre,” concludes Johan.